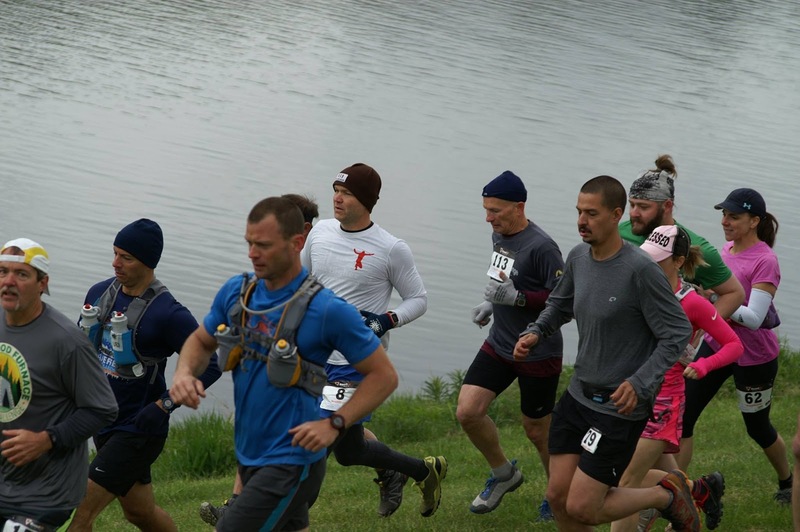 The Chief Wetona Challenge debuted in 2014 with a 7 miler. A year later a Half Marathon was added to the event. 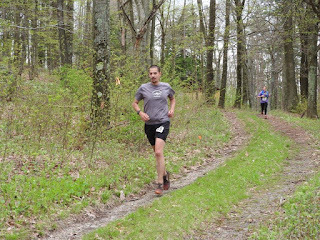 Both races returned for 2016, with the Half Marathon getting a major course overhaul and also gaining entry into the Pa Trail Trophy Series, I got my first taste of the new, more difficult, course on a mild January day that turned out to be warmer than when the gun went off on race morning. If you read my 2016 Hyner Challenge Race Report you may recall that my training mileage has been way down this year. Nothing much has changed since the end of April - high protein diet, lots of miles on the indoor bike, an easy mid-week run/hike with the folks at VRC, and a solid weekend long run. 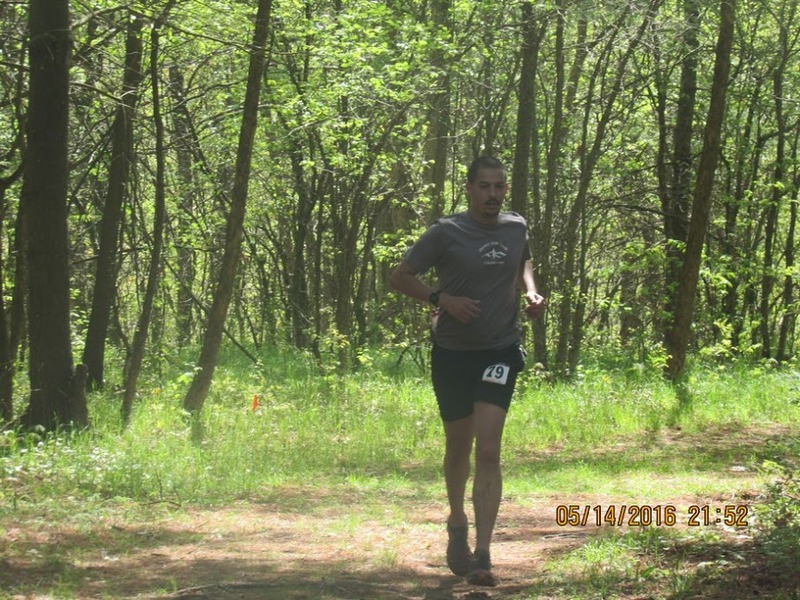 It just so happens that nearly every single one of those long runs have been on the Chief Wetona Challenge course. I've never known a course of this type so well before going into a race, and I must say it was a great source of confidence on race morning. Traveling with me - a whopping 20 miles from Sayre Pa to Mt. Pisgah State Park, was my girlfriend Aly Lewis who was fresh off a Saturday 5k finish in Owego NY. Aly planned to tackle her first Chief Wetona 7 Miler while I was out on the Half Marathon Course. We arrived at the park at 8:00AM ahead of the 9:30 Half Marathon start, then cowered in my truck for most of the next hour keeping warm until the start. Its always muddy at Mt. Pisgah. This year it was muddy, windy, snowing, and barely 40 degrees for the gun. While such conditions can be a little tough when you're standing around, they're damn near ideal for racing. Thankful for Aly's presence, I was able to keep my winter hat and fleece on until the last moment, and ditch them just before the mad dash began. If you divide the race into sections, miles 1 - 4 are the logical first segment. 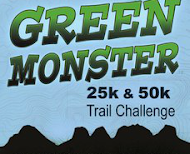 This section is made up mostly of rolling double track, shoe-sucking mud, a few grunt climbs, and new for 2016 a shallow stream crossing. While certainly beautiful, and dangerously runnable, this is my least favorite part of the course, and is really just foreplay before the race truly begins. I passed the time giving a couple of out-of-town runners the lowdown on what to expect, while playfully bombing through every mud bog I could find. I was feeling strong, but as I haven't logged many true-running miles this year, I was looking forward to power-hiking the climbs. The second section of the course (Miles 4 to 7ish) begins at the road crossing. After teasing runners with the bottom end of Ridge Trail, the course descends to the road again briefly (remember the descent, you climb it less than a mile from the finish), skirts the lake, and then begins to climb in earnest. Avery Crossover gets the ball rolling, but its merely prelude to the spanking that Snowmobile Trail is about to dish out. If you don't know the course this is the point where any ideas you had about it being an easy one go out the window. The climb is steep, and likely the longest sustained ascent on the course. I've "run" it many times and it never gets any easier. This time was no exception. At the top, Snowmobile Trail offers a brief reprieve in the form of a gliding downhill back on to Ridge Trail. Once on Ridge Trail the course gradually climbs for close to a mile. Although the high (elevation) point on the course is near the beatings continue. While I felt (relatively) strong through out the race, if I had a 'low' point this was it. I'd had my fill of the double track and was looking forward to the third section of the course. The third section (Miles 7ish - 11) of the course is where the fun begins. 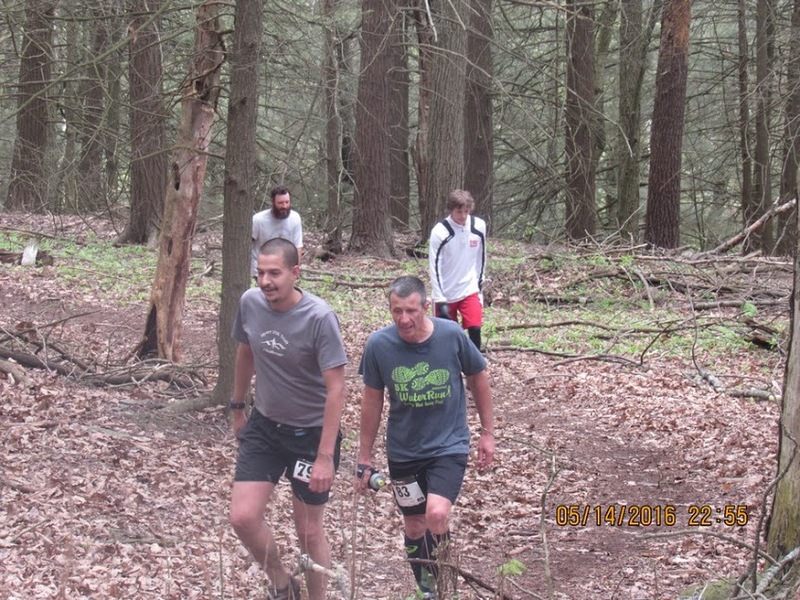 After cresting a steep 'hiccup' in Ridge Trail's otherwise gradual gradient the course ducks into the woods on the left onto brand new single track cut in by the race organizers last fall. This narrow, hillside, off camber trail is a joy to run. Anticipating it, I picked up my pace at the turn and attacked it, finding new life in my legs. In addition to being off camber, its easy to forget that this section is also downhill. After a quarter mile or so the single track gives way to a logging road climb up to the very end of Ridge Trail and onto the county park road to the first great view of the day. I've seen the view countless times, and I try not to take it for granted, but I had no time to dawdle. The trail threads the needle between a split boulder onto an old logging path. A few dozen yards later its "over the edge" onto a new section of steep downhill single track which cuts across to another logging path climb up into the county park and finally the statue of Chief Wetona who stands guard over the best vista on the course. 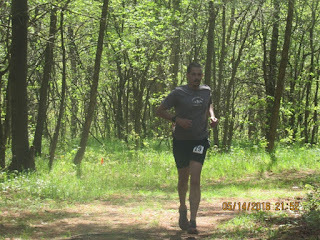 As with the previous ones, I blew through the aid station at the course's high point and plunged back into it. These couple miles are some of my favorite. Through a combination of old logging roads and new single track that mostly descend, the course drops several hundred feet into Hick's Hollow, only to send you right back up a brand new section of single track through a beautiful avenue of white birch trees. With legs thoroughly tenderized by the recent descents, the 3 or 400ft climb up nasty-steep Snowmobile trail to the final aid station (Mile 11) can really sting. Although I wasn't feeling particularly bad, fellow locals Tracy and Doug caught me on the climb. With two and a half miles to go I made my first pit stop of the day at the aid station. I told my friend Monika who was volunteering there that I only stopped to make sure they felt needed. In truth, it was time to top off one of my water bottles and enjoy a slice of watermelon. From here the course is all backtracking. 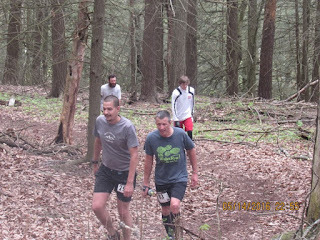 That nasty climb at mile five becomes a quad pounding downhill. At the bottom I fell in with two runners. We dropped back down Avery Crossover together, and hung the right back to the road. If you love punishment, the course has a great feature in place for you. When you reach the road you can see and hear the finish line up the hill on your left, but instead of going directly to it, the course turns hard right up one last grunt climb which gives way to a sloppy downhill back to the place where you first crossed the road at mile 4. I left my two companions here, bombing the downhill as hard as I good (trying especially hard to hit every puddle), and shot out across the road. With the finish line perhaps 600 meters away I'd felt the pull and hit the gas. A few hundred yards of lakeside running lead to the gradual grassy ascent to the finish. I threaded my way through 7 Miler traffic. My friend Chris gave me a boost of encouragement as I hit the uphill, and I hit it hard. I set my sights on Doug. I nearly reeled him, but couldn't quite close the gap before crossing the finish. I've run somewhere in the neighborhood of 100 races as an adult, and I can honestly say that this year's Chief Wetona Challenge was one of the most fulfilling. As with Hyner last month, I executed about as good as I could ever ask at my current fitness level. I ran hard, but within my means, suffered no injuries, and maintained my focus. 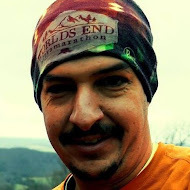 I'm hoping to keep the trend going next weekend at the World's End 50K . I milled around at the finish line for a few minutes before going back to the truck to change my clothes, and then made it back to the finish in time to see Aly complete the 7 Miler well ahead of the time she projected for herself. We hung around long enough to eat and watch the 7 mile age group winners receive their awards. Normally it might have been a great time to hang out all afternoon, but the wind and the cold were seeping into our bones, and we were happy to head home. The 4th annual Chief Wetona Challenge will be held on May 21st 2017. Hope to see you there.